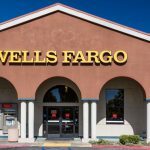 Wells Fargo fires 5,300 for identity theft: how did no one notice? In perhaps the largest scale scam the banking world has ever seen, Wells Fargo has canned 5,300 employees for what we'd like to call major stupidity. These employees were using bank customer information to illegally create 1.5 million deposit accounts and apply for nearly 565,000 credit cards in order to meet sales goals and make commissions. To do this, they created millions of fake email addresses and enrolled in many online banking programs. It also must not have been much of a secret if more than 5,000 employees were doing it. Seriously, how does that happen under a bank's nose and no one knows? And how do people not catch onto this? It happened over a five year period. It must've been quite the discussion when employees went to the bar, discussing the widely-known scam with their colleagues. These numbers are insane. We're talking 5,300 employees, over one million accounts, and over a half a million credit cards. Granted, this 5,300 amount is only about 2% of the entire Wells Fargo workforce and the firing occurred over several years, but someone really needs to explain themselves--especially to answer the obvious: why did this go on for so long? The good news, then, is that there are probably lots of openings in the IT and audit departments now at the bank. The bad news is, Wells Fargo is paying for these mistakes when these employees should be individually fined, because some might think that the fines here ($185 million) are just too low. This is identity theft and just simply losing one's job in a massive layoff doesn't really demotivate people from breaking the law. In fact, it might make sense to claw back all of those bonuses paid. After all, they weren't deserved. But what takeaways can we bring to our companies? One begins to wonder what kind of culture Wells Fargo was cultivating to create this insanity to begin with. If you focus on metrics, people will find a way -- ethically or not -- to beat them. In this case, there's nothing right about this. But if you're driven by data, you better have a damn good way to double check and verify the legitimacy of that data. Don't just take what you're being told at face value. Oh, and we'd like to remind you: if you're a Wells Fargo customer, go check your accounts! Home » Tech News » Wells Fargo fires 5,300 for identity theft: how did no one notice?